100% WATERPROOF Steel Toe Carolina 6″ Work Boots deliver hard nose protection and sure waterproof comfort. Industrious Work Boots from Carolina… and if you happen to go toe-to-toe with a hammer, you’ll be grateful for the ASTM steel toe protection! They’re part of Carolina’s SVB Super Value Boots line, designed to take it easy on your feet AND your wallet. 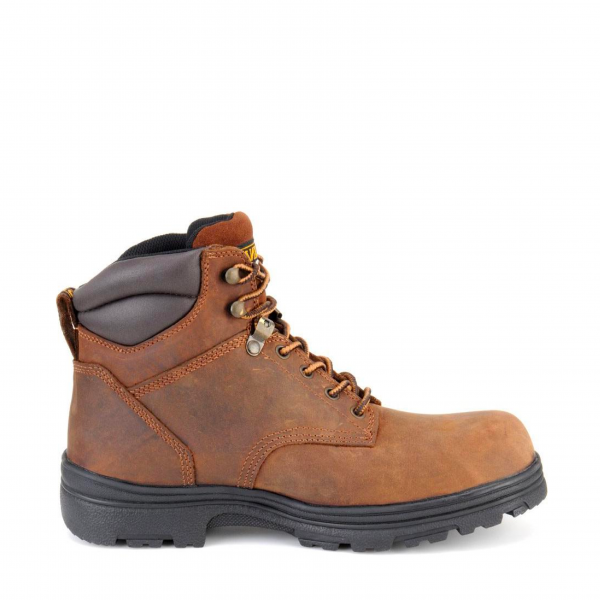 Protection in a pinch: Rugged Crazy Horse leather upper; Steel toe meets or exceeds ASTM I75 / C75 standards for compression and impact; 100% waterproof Scubaliner membrane keeps your feet dry; Electrical hazard protection to block big shocks; Steel shank provides firm underfoot support to help fight foot fatigue; Cement construction makes for a flexible, lightweight fit; Removable EVA insole eases the impact of every step; High-traction rubber outsole.